Ninety years after they were thought to have died heroically in the Great War, the stretcher-bearer Simpson and his donkey journey through country Victoria, performing minor miracles and surviving on offerings left at war memorials. They are making their twenty-ninth, and perhaps final, attempt to find the country’s famed Inland Sea. 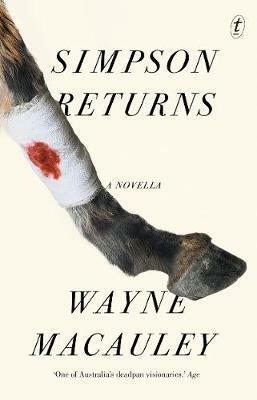 On the road north from Melbourne, Simpson and his weary donkey encounter a broke single mother, a suicidal Vietnam veteran, a refugee who has lost everything, an abused teenager and a deranged ex-teacher. These are society’s downtrodden, whom Simpson believes can be renewed by the healing waters of the sea.